Please fill out the form below. Once you have successfully submitted your application, please click on the Square Payment link at the bottom of this page to complete your payment. It will take you to our Square Online Membership Payment page. If you have any questions, please contact us at ashevilleparalegals@gmail.com. How long employed in your current position? I have received, reviewed, and agree to be bound by the Code of Conduct as adopted by AAPA. I further certify I have not been convicted of a felony in this or any other state, and understand this application is subject to approval by AAPA. I acknowledge the Membership Roster of AAPA is available online as a benefit of membership, and only for official use in connection with AAPA business and communication among members. I agree I will not divulge information contained therein to non-members of AAPA for any reason whatsoever. I understand contributions, dues or gifts to Asheville Area Paralegal Association are not deductible as charitable contributions for federal income tax purposes; however, payments may qualify as ordinary and necessary business expenses. Once you have successfully submitted your application above, please click on the following link to complete your payment. 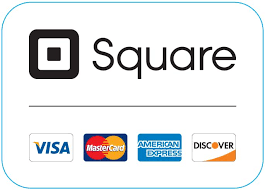 It will take you to our Square Online Membership Payment page.